Potential opportunities for Woven members via the European Association of Agricultural Economists – Woven Network C.I.C. The European Association of Agricultural Economists is holding its annual conference in Parma 28th August-1st September 2017. 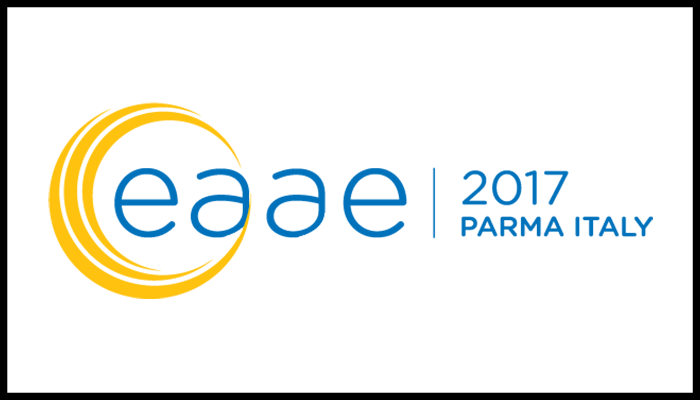 See www.eaae2017.it for more info. EAAE “brings together agricultural economists and others interested in the problems of the agricultural and food industries and rural development in Europe” www.eaae.org. As LCA and economic analysis are a vital part of establishing insect production as a valid agricultural activity, member of Woven, Meredith Lloyd-Evans, has offered the organisers the possibility of a pre-conference symposium on insects and insect-farming for food and feed products. This has been accepted. The Symposium will be a half-day on 29th or 28th August, and lunch is included. The aim is to have a focus on the interlinkages between insects for food and feed and agricultural economics, life-cycle analyses and ecological footprint, so that the EAAE and insect communities can profitably interact. Meredith would like Woven members to have first chance to offer a presentation, so he can gauge viability of the symposium and start constructing a programme – if enough Woven members, from researchers to companies, get involved, he’s also happy to promote the session as a Woven symposium. Please email mlloydevans@biobridge.co.uk, text/call 0776 776 6339 or call 01223 566850 to make an expression of interest and suggest a topic.